In 2014, 98,279 Total Hip Replacements (THR) were carried out in the UK alone (National Joint Registry, NJR 2015). A THR is a surgical procedure in which diseased cartilage and bone of the hip joint is surgically replaced with artificial materials. THR can provide improved quality of life, improved function and pain relief (Agostini et al 2014, Anakwe et al 2011). Physiotherapy is a routine part of rehabilitation for patients after THR. However, a number of systematic reviews have been unable to establish evidence to support the effectiveness of physiotherapy (Monaghan and Cussack 2014, Minns Lowe et al. 2009). WHAT WERE THE AIMS OF THE STUDY & WHAT DID THEY DO? This study aimed to evaluate the effectiveness of a 6 week outpatient physiotherapy-led functional exercise programme from 12-18 weeks post THR. Starting from 12 weeks post-operation (baseline), the intervention group received usual care and a 6 week exercise programme which consisted of two 35 minute exercise classes per week. The control group received usual care. 72 patients were eligible for the study, with 63 completing it. There were 32 patients in the intervention group and 31 in the control group. The 63 patients were allocated to a group post-op using a computer-generated random number table. All outcome measurements were recorded 12 weeks after surgery (baseline) and 18 weeks after surgery. These were recorded by the principal investigator, who was blinded to group allocation. The primary outcome measurement tool was the Western Ontario and McMaster Universities Osteoarthritis Index (WOMAC) questionnaire. This measures pain, stiffness and physical function. Secondary outcome measures included the Visual Analogue Pain Scale (VAS), the 6 Minute Walk Test (measuring walking speed) and Short Form 12 (SF12) self-reported physical and mental health scores. In order to critically appraise this article, the Critical Appraisal Skills Programme (CASP) assessment tool has been used as a guide. The participants were allocated randomly to groups using a computer generated number programme. Then an independent third party (Physiotherapy Manager) concealed the allocation using sequentially numbered envelopes. This randomisation helps to minimise bias and increases the internal validity of the study. The researcher was blinded but due to the nature of the trial it was not possible to blind the participants or the physiotherapists delivering treatment. The original sample size was 72 but 9 patients failed to complete the initial assessment. This did not affect the validity of the study as they did not complete the initial assessment and so, were not counted in the study. The sample size of the group was small at 63. However the researchers justified this by carrying out power calculations which found that 54 participants were needed with a minimum of 27 in each group in order to have sufficient statistical power. Two patients in the intervention group did not receive the intervention but were analysed under intention to treat principles. The control and intervention groups were similar in age, weight, height, surgical approach etc., with no statistical differences between the groups at baseline. However a large number of participants were male, with 63% of the intervention group and 74% of the control group, being male. This difference between male and females was not addressed within the paper. However I feel it is important to note this when looking at and interpreting the results because, out of all hip replacements in the UK in 2015, 60% were carried out on females (NJR 2015). The statistical significance value was set at <0.05. The WOMAC Function, 6MWT and SF12 physical score showed a statistically significant difference at 18 weeks in the intervention group compared to the control group. Although these results are statistically significant, the authors remind us that the results may not be clinically significant. Clinical significance refers to whether the results are meaningful to patients. Therapists must decide whether the results can be applied to their population. The values for WOMAC Function and 6MWT were the only statistically significant values. For the 6MWT, the 95% confidence interval lies between 0.60-43.3. This large range indicates that we have limited knowledge regarding the actual size of the clinical effect. In contrast, the confidence interval for the WOMAC Function had a smaller range. However, the authors note that the mean difference between groups is smaller than that of previous studies, making the true clinical difference difficult to gauge. This is the first study evaluating a functional rehab programme at this stage of rehab following THR to use the WOMAC questionnaire as a primary outcome measure. Therefore no direct comparison can be made with other trials or studies. This is a limitation, as further research is needed using the WOMAC questionnaire in order to accurately compare results. Overall, this study is of high quality, adhering to the principles of good practice when undertaking research. 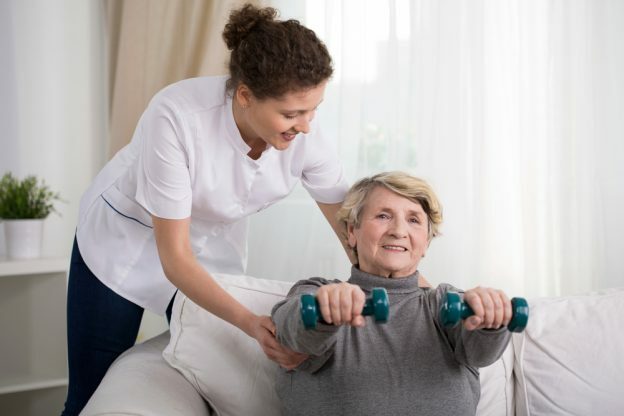 The study found that patients may benefit functionally from a physiotherapy-led 6 week exercise programme at 12-18 weeks after a total hip replacement. However, further research is needed to verify whether these beneficial outcomes are sustained long-term, particularly given the inconclusiveness of prior systematic reviews. AGOSTINI, V., GANIO, D., FACCHIN, K., CANE, L., MOREIRA CARNEIRO, S. and KNAFLITZ, M., 2014. Gait parameters and muscle activation patterns at 3, 6 and 12 months after total hip Arthroplasty. The Journal of Arthroplasty. June, vol. 29, no. 6, pp. 1265–1272. ANAKWE, R. E., JENKINS, P. J. and MORAN, M., 2011. Predicting dissatisfaction after total hip Arthroplasty: A study of 850 patients. The Journal of Arthroplasty. February, vol. 26, no. 2, pp. 209–213. MINNS LOWE, C., BARKER, K. L., DEWEY, M. E. and SACKLEY, C. M., 2009. 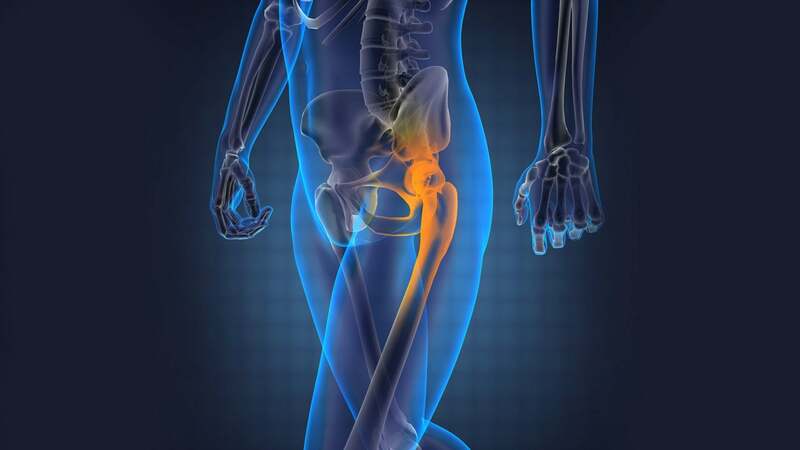 Effectiveness of physiotherapy exercise following hip arthroplasty for osteoarthritis: A systematic review of clinical trials. BMC Musculoskeletal Disorders. vol. 10, no. 1, p. 98. MONAGHAN, B., CUNNINGHAM, P., HARRINGTON, P., HING, W., BLAKE, C., O’ DOHERTYA, D. and CUSACK, T., 2016. Randomised controlled trial to evaluate a physiotherapy-led functional exercise programme after total hip replacement. Physiotherapy. MONAGHAN, B. and CUSACK, T., 2013. 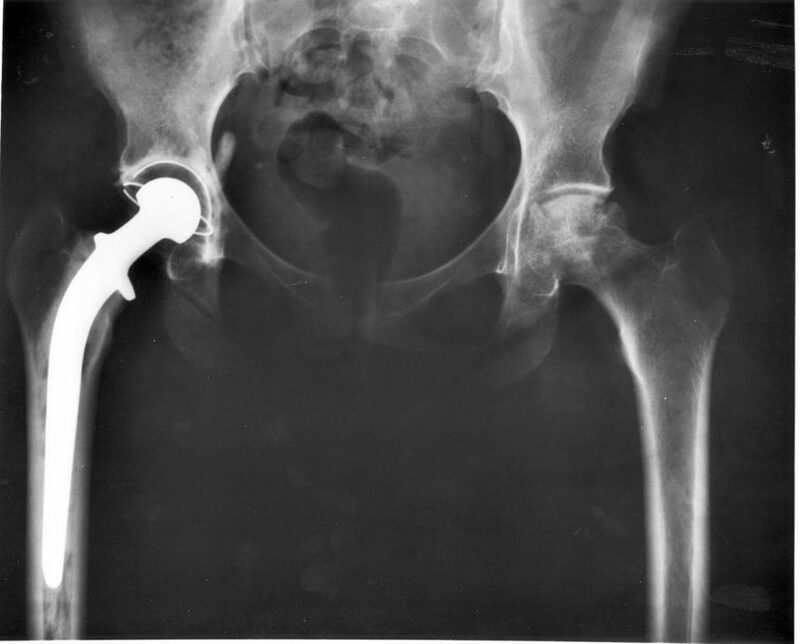 Effectiveness of delayed rehabilitation programmes in patients following total hip replacement. Physical Therapy Reviews. December, vol. 19, no. 2, pp. 94–104. MR, A., GOLDBERG, J., REES, LUDLEY, J., THORNTON, J., YOUNG, E., MCCORMACK, V., MISTRY, A., NEWELL, C., PICKFORD, M., ROYALL, M., SWANSON, M., BEN, Y., PROFESSOR, S., BLOM, A., CLARK, E., DEERE, K., GREGSON, C., HUNT, L., JUDGE, A., PROFESSOR, K., PRICE, A., MR, S. and WHITEHOUSE, M., 2016. National joint registry for England, wales, Northern Ireland and the isle of man.